Today we bring you an encore presentation of an interview of Bishop Arthur Kennedy, Auxiliary Bishop of Boston and Rector of St. John Seminary, who just celebrated 45 years in the priesthood, by Scot Landry and Fr. Chris O’Connor. Scot and Fr. Chris discuss with Bishop Kennedy his recent ad limina visit with Pope Benedict in Rome; his childhood in West Roxbury; his formation and ordination in Rome in 1966; and the many years he spent in academia, teaching the Catholic faith to university students. 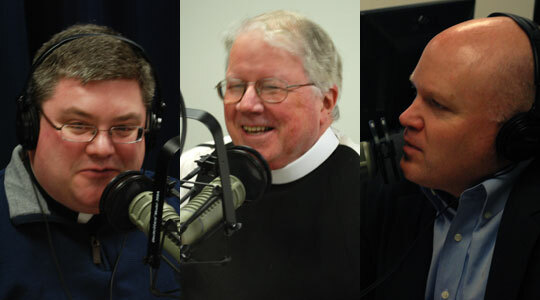 They also talk about Bishop Kennedy’s favorite author, Flannery O’Connor, and his assessment of the young people he’s confirmed throughout the Archdiocese since his ordination as bishop last year.